Spring is here, and in the Chicagoland area, that often means rain. That’s why you should test your sump pump stat! 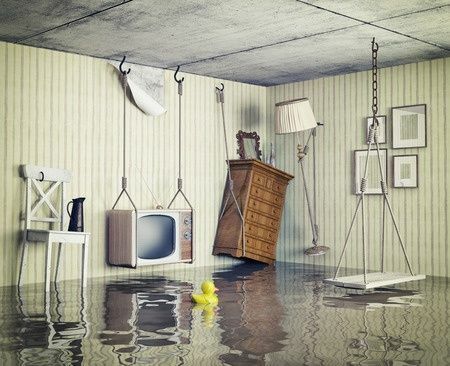 Ideally, your best bet is to test your sump pump every month or two through summer and fall. Many homes use sump pumps to prevent groundwater from getting into the basement or crawl space. Extra water can build up along the foundation, especially during heavy rains. A sump pump moves this excess groundwater out away from your home. If your pump stops working, water could get into your basement and foundation walls, causing mold and mildew. If enough water gets in, the basement could flood. There are two ways you can check that your sump pump is working correctly. First, unplug the pump and then plug it back in again. If you look at the outlet where your sump pump is plugged in, you should see two separate plugs. Unplug both of them and then plug in just the one for the pump. If the pump doesn’t turn on immediately, your pump needs to be repaired or replaced. If the pump worked properly, don’t forget to reconnect the other plug. The second way to test your sump pump is by running water through it. You only need enough water to raise the float until the pump kicks on. Keep in mind that just because the pump runs, it doesn’t mean it will actually work. We recommend monitoring to ensure the water actually gets pumped out of the hole. If you’re not able to add water to the pump, you can lift the float arm up and see if the pump turns on. This method won’t confirm if water will actually be pumped out, however. If you test the pump without water, don’t let it run more than a few seconds. Otherwise, you risk damaging the pump motor. If you need your sump pump tested, serviced, or replaced call the experts at Hobson Plumbing and Heating to schedule an appointment today at 630-761-3400.